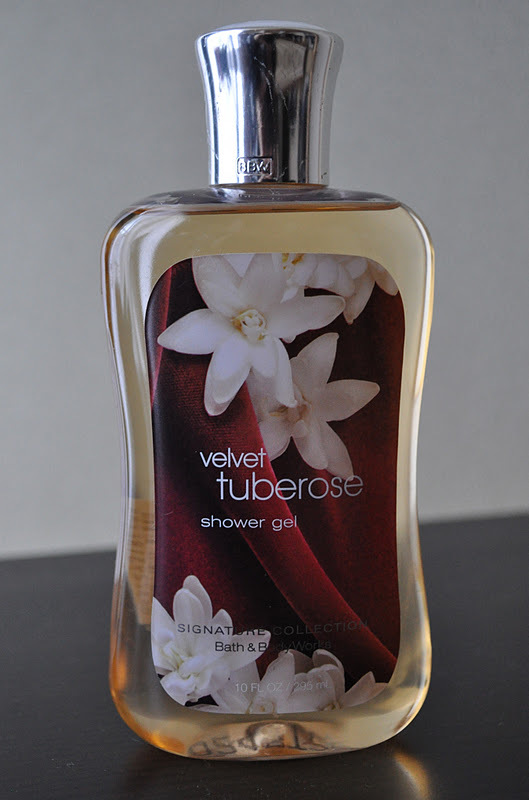 This months shower gel is Velvet Tuberose from Bath & Body Works. Bath & Body Works Velvet Tuberose is a spicy feminine floral scent. When I first discovered this fragrance line, I was a little reluctant to try it, being that I'm not a fan of anything rose scented. I was pleasantly surprised that this shower gel smelled nothing like roses. Velvet Tuberose is both sultry and romantic, exotic and floral, warm and spicy; a lovely sophisticated scent for the winter season. Unfortunately, Bath & Body Works Discontinued the line two years ago, but I have seen Velvet Tuberose on sale on ebay and other websites. I was thinking about hosting a give away and adding this to the pot, since I was lucky enough to stock up on this shower gel when I visited Miami back in January 2011, let me know what you think!! What shower gel/ body wash are you using now?